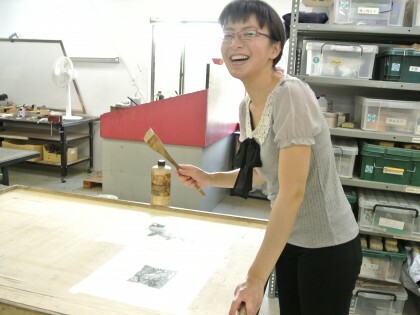 The Sky Gallery will host a series of shorter exhibitions. “Star Wars Visions” (April 29?June 28) is curated by George Lucas, and features artwork and film memorabilia. “Foster + Partners” (January 1?February 14, 2016) will showcase the career of British architect Sir Norman Foster whose London based practise has been responsible for an array of landmarks, from London’s Gerkin to Berlin’s Reichstag building. 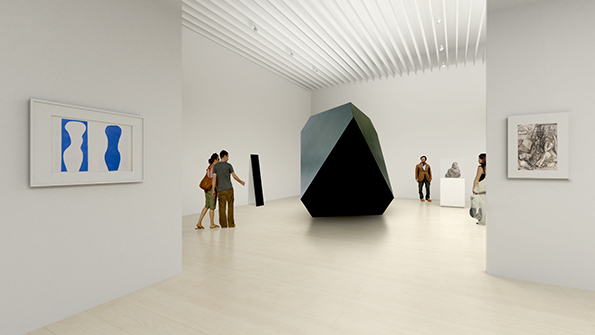 However, one of the main features of the reopening is suite of exhibitions that will welcome in a new phase. 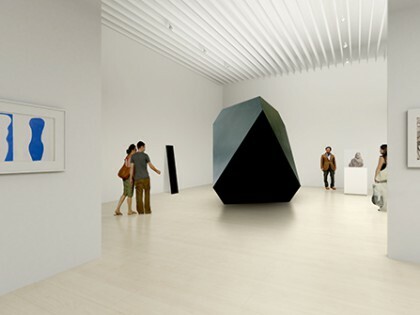 The first show, “Simple Forms: Contemplating Beauty” (April 25?July 5), is a collaboration between the Palais de Tokyo, Mori Museum, Centre Pompidou-Metz and Foundation D’Enterprise Hermès. 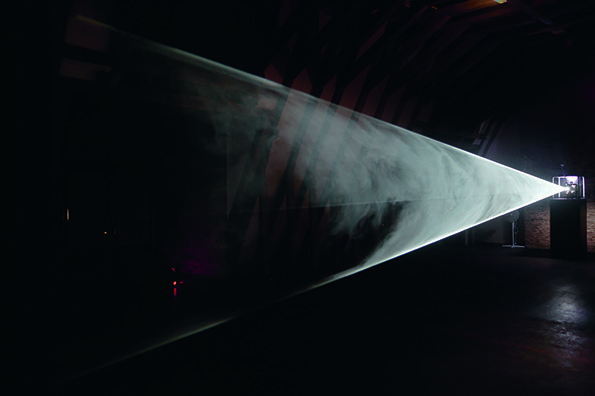 Science and Mathematics are starting points that explore form and nature through 130 archaeological finds and artworks by the likes of Olafur Eliasson, Anthony McCall, Nishikawa Katsuhito and Okazaki Kazuo. 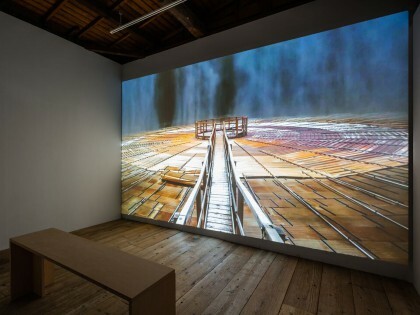 “Dinh Q. Lê: Memory for Tomorrow” (July 25?October 25) is the first solo exhibition in Japan by the Vietnamese artist that documents a country still overshadowed by the Vietnam War. 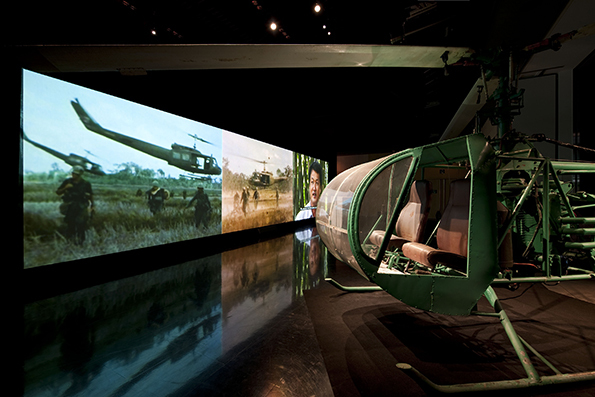 The war’s lingering presence in his work highlights the narrative difference between official and unofficial stories that recall the war through woven photography and installation pieces like Helicopters. Their significant and meaning underline his reading of post war recovery, and echo similar struggles of neighbouring countries throughout Asia. “Murakami Takashi: The 500 Arhats” (October 31?March 6, 2016) follows on with a massive project that marks his first solo exhibition in Japan in 14 years. 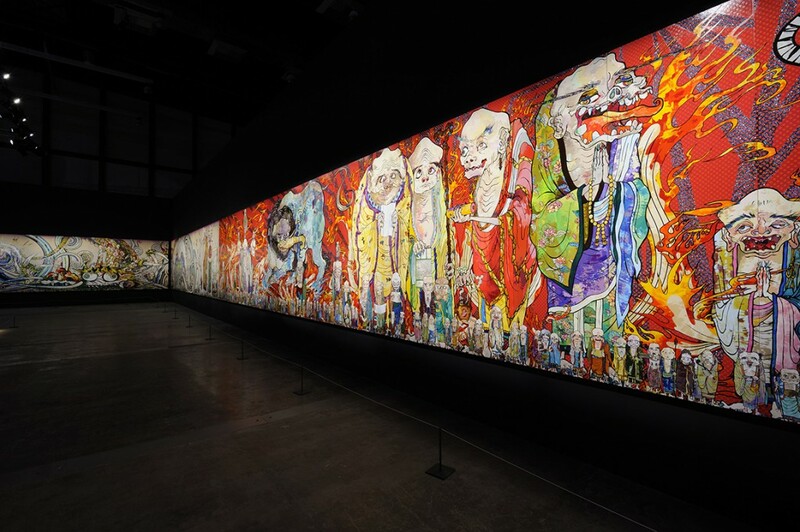 A 3 metre high, 100 meter long painting is Murakami’s response to the 2011 Great East Japan Earthquake and Tsunami and shows a new artistic interest in belief systems that transcend turmoil while addressing the role of art amidst crisis. 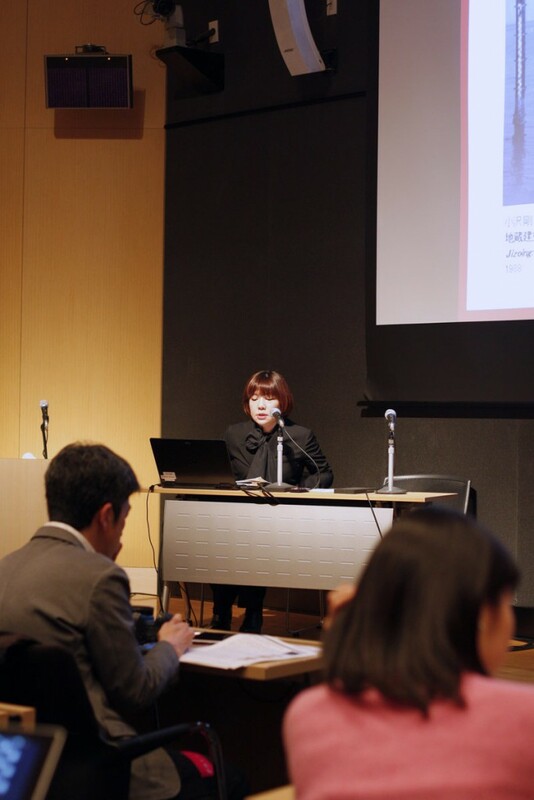 Mori Art Museum began with no real collection of its own yet since May 2015 it now has a collection of 400 works and this will increase. 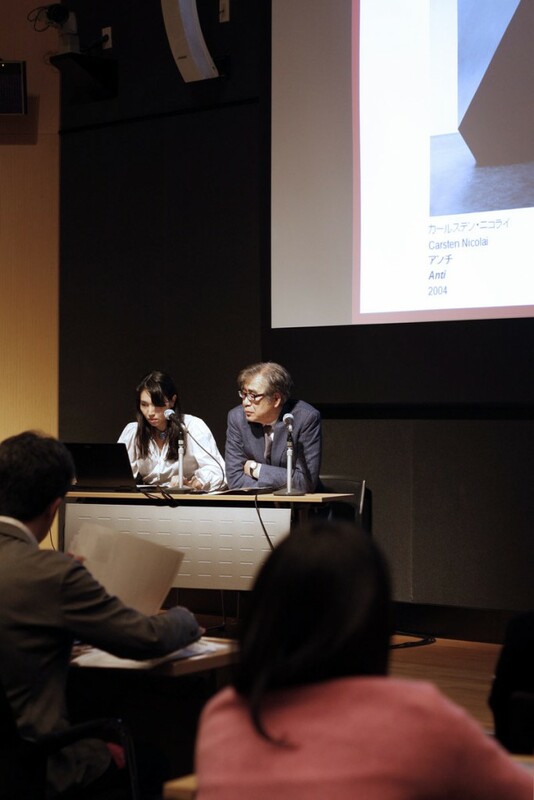 ‘MAM Collection’ will function as a gallery in its own right. “Two Asian Maps ? 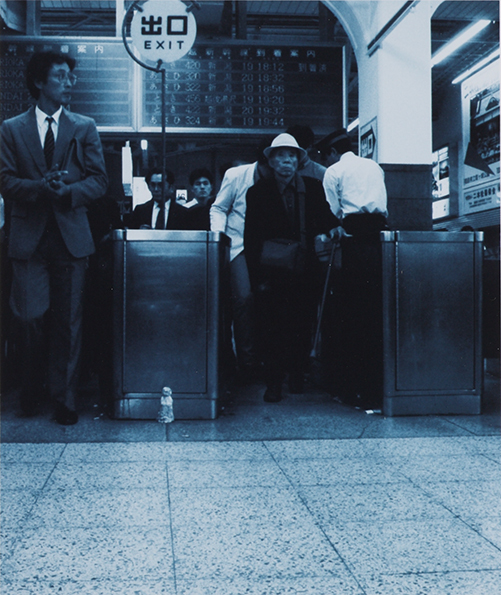 Ozawa Tsuyoshi + Shitamachi Motoyuki” (MAM Collection 001, April 25?July 5) will showcase two young Japanese artists whose work has been shaped in Asia since the late 1980’s. “Existence and Space ? Suh Do Ho + Po Po” (MAM Collection 002, July 25?October 12) sees Do Ho from Korea and Po Po from Myanmar explore conflict and identity from the perspective of their own homeland. 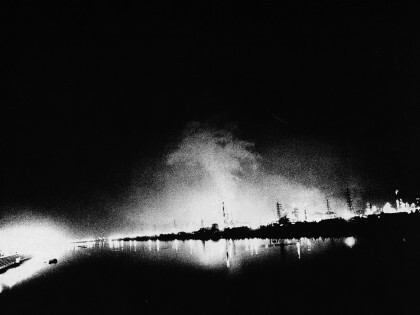 “Great Crescent, Art and Agitation in the 1960s ? 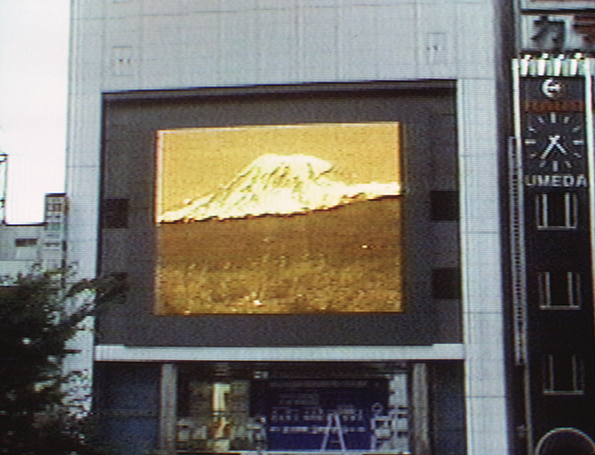 Japan, South Korea, Taiwan” (MAM Research 001, April 25?July 5) is a reworked version of an exhibition held in 2013 at the alternative Hong Kong space, Para-Site. “Who Was Roberto Chabet? ? 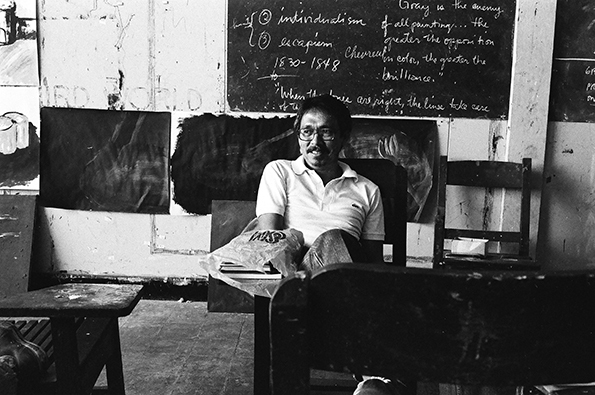 Along with the Development of Contemporary Art in the Philippines” (MAM Research 002, July 25?October 12) explores the largely unknown Chabert, a leading figure of Filipino art and founder of the Cultural Centre of the Philippines and artist run space ‘Shop6’ who died in 2013.